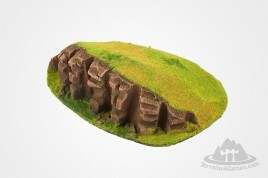 The Hill is one of the most basic and primary gaming terrains. 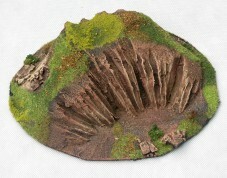 Set contains two small Hills. 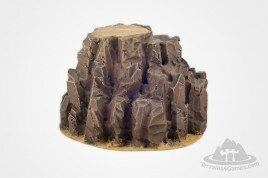 The terrain model is designed to balance beauty and reality. 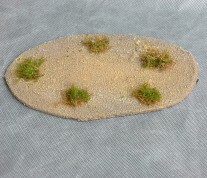 That kind of wargaming model is real enhancement and embellishment for your gaming. Big and tall Line of Sight Breaker directly from the Desert of postwar World of the Future. Stand with small bushes, typical of the desert areas. Area available for equipment and troops. The terrain model is designed to balance beauty and reality. 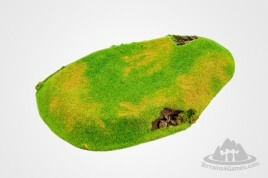 That kind of wargaming model is real enhancement and embellishment for your gaming.